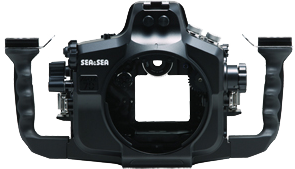 Consult a SEA&SEA authorized service center for the details. Unparalleled design provides easy access to the main dial and the quick control dial. Shutter speed and aperture can be adjusted without removing your hand from the grip. Button to activate live view photography and video is ergonomically positioned for easy access. 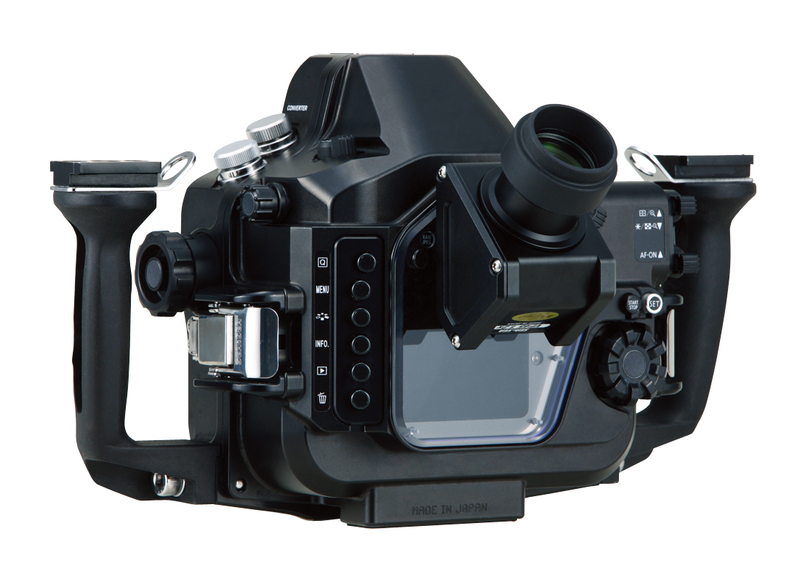 While holding the grip, you can control AE lock / Index / Reduce lever and AF point selection / Magnify lever and AF start lever to check focus points and then press the start / stop button to record video. The setting button is also situated close to the grip for quick access to the button. Great functionality, engineering and ergonomic design make this housing exceptional. A new type of easily operated shutter lever, excellent for taking quick snapshots and for avoiding motion blur. The shutter lever can be operated in two ways—by pushing from the top or pulling from the front—and offers a smooth option for adjusting the autofocus by pressing the button halfway down so you need not worry about any missed chances. *The MDX-7D housing comes from the factory with these type-N connectors: one 2-pin wired connector and one 6-pin wired connector. 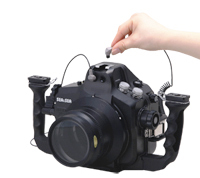 *To use two SEA&SEA YS-Series strobes with the factory-equipped type-N connectors, you must use the 5-pin Dual Sync Cord/N.